Some good news out of Portland, Oregon as the Methodist Church voted (yet again) to reject divestment, despite years-long campaigning spearheaded by those to try to get the church to reverse an anti-BDS position they have confirmed in vote after vote after vote in the past. To make matters even worse (for the boycotters, anyway), the Methodists did vote to divest: from BDS. Once the #BDSFail hashtag moves onto other stories, the BDSers will – as usual – pretend this year’s votes never happened and begin to prepare for the next Methodist conclave in a few years when the same people will make the same appeals after doing all they can to stack the deck internally in their favor. And here’s hoping that all that effort gets wasted yet again. It’s really been more than a decade since church votes on Middle East matters meant anything to the public at large. 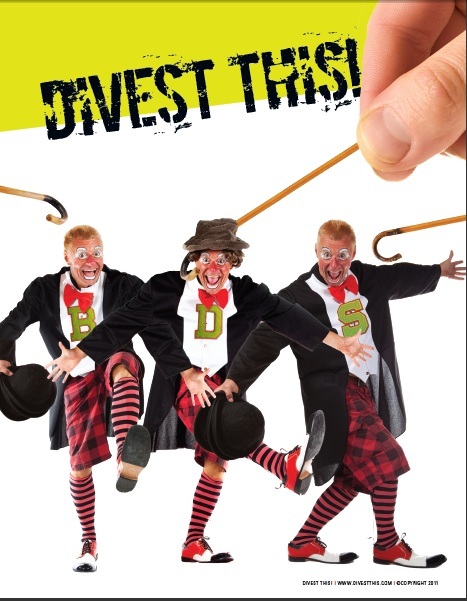 When the Presbyterians voted for divestment in 2004, that made news and anchored an early version of the BDS “movement” for years until that same church rejected divestment overwhelmingly in 2006. The “movement” spent the next decade frantically trying to get back to where they once were, and in 2014 they finally managed to turn the clock back a decade. But by then the wider public had gotten a glimpse of how sausage is made within the decision-making bodies of PCUSA with corrupt leaders working in collusion with BDS activists to ensure all decision-making bodies were purged of fair-minded independent thinkers and that voting delegates (and the church body at large) were denied any information that strayed from the BDS party line. After a decade of watching such ugliness repeat itself (with bigotry peaking behind the screen on more than one occasion), is it any wonder that no one treated PCUSA’s 2014 divestment decisions as an act of moral courage to be respected and acted upon? In fact, that vote has become one more reasons for whole churches to leave PCUSA entirely (even as remaining members age and die without being replaced). Which means that church divestment is recognized as little more than a symptom of what happens to a dying institution that has lost its way. A grassroots backlash against BDS can be seen elsewhere in the Mainline movement. For example, a decision by the United Church of Christ (UCC) to also join the BDS bandwagon led to an important church not just renouncing the decision but pulling all of its money from church investment vehicles (costing the organization millions). Needless to say, UCC’s preferred friends within the Jewish community (i.e., the Jewish Voice for Peace folk who serve as cover by pretending divestment is acceptable within the Jewish community at large) are not likely to help their “partners” solve the division and mayhem their campaign created within church ranks. Within this context, the Methodist move last week can be seen as a form of sanity breaking out within a Mainline movement that’s been jerked around for two decades by BDS activists who couldn’t care less about the institutions they turn upside down for their own political gain. I continue to have no fear that the behavior of corrupt actors like the PCUSA leadership is going to harm Israel in either the short or long run. But having just attended a funeral at one of those Mainline churches I’ve been critiquing, one where the kind pastor has helped not just his flock but the entire community heal from an awful event, I was able to see all the virtues of the church on display (including those preyed upon by the BDSholes). So while Israel will come out of the church wars just fine, thank you very much, I pray that the sanity demonstrated by the Methodists starts to spread to their fellow churches before it’s too late – for them.